NABS is the National Auslan Interpreter Booking and Payment Service. 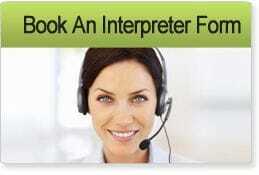 NABS provides interpreters Australia Wide for private medical and health care appointments. If your appointment is NOT a medical or health care appointment, NABS cannot book an interpreter for you. *All interpreting services to Aboriginal and Torres Strait Islander Sign Language users are provided for both public and private health care appointments.